Unlike most cardio machines, The Biggest Loser Ladder was engineered to provide the user with physiological benefits which makes it the perfect piece of cardio equipment for anybody. 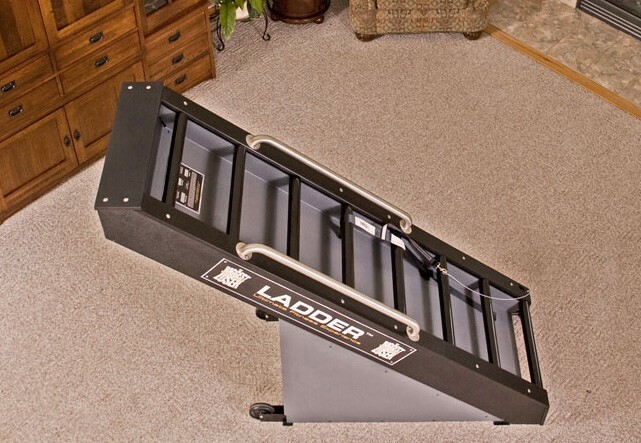 The Biggest Loser Ladder is a patented climbing machine with ladder-type rungs on a non-motorized continuous treadmill. It’s self-paced, so the faster you go, the faster it goes. Not only used at The Biggest Loser Ranch, the Ladder is also used by Pro Football Teams, the FBI, the Army, the Navy, West Point and numerous Division 1 universities to improve their strength and conditioning programs. Unlike most cardio machines, The Biggest Loser Ladder was engineered to provide the user with physiological benefits which makes it the perfect piece of cardio equipment for anybody. The Biggest Loser Ladder is a patented climbing machine with ladder-type rungs on a non-motorized continuous treadmill. It’s self-paced, so the faster you go, the faster it goes. Not only used at The Biggest Loser Ranch, the Ladder is also used by Pro Football Teams, the FBI, the Army, the Navy, West Point and numerous Division 1 universities to improve their strength and conditioning programs.